Visiting Bhutan feels almost like walking into the pages of a storybook. In this pristine Himalayan Kingdom, happiness rules supreme and equilibrium with nature is carefully maintained. There are strict policies on how many tourists can visit and it is enshrined in law that at least 60% of the country must remain forested. Bhutan really does do things differently and the atmosphere of tolerance and respect is all pervasive. 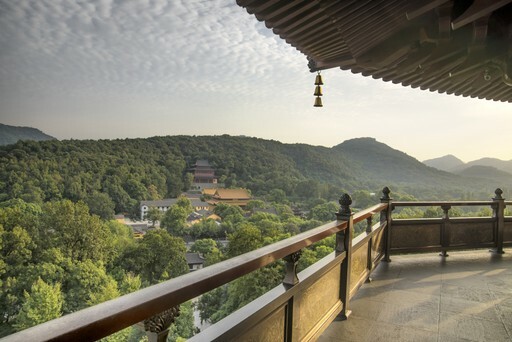 If you are one of the lucky few, you’ll find yourself roundly welcomed by the country’s well educated Buddhist people, and swept up in the majesty of the surroundings. Bhutan is a nation of cultural quirks and Himalayan landscapes that is just waiting to be discovered by intrepid travellers. There are many wonderful experiences to be had in this unique and wonderful country. For further inspiration take a look at the trip ideas put together by our trusted local experts at the foot of this page, but in the meantime here are our top three things to do in Bhutan. Clinging to a sheer cliff some 900m above the Paro Valley floor, the sacred Tiger’s Nest Monastery is a magical sight to behold. Built on the site of a cave where a prominent guru is said to have meditated for three months, legend has it that he flew there on the back of a tigress. However, us mere mortals must approach on foot! The steep, two-hour climb looks daunting, but the path is well made and the rewards are great. From the top, you will have commanding views over the surrounding valley. The country may be small, but the mountains are not. As you wander the forested paths you’ll catch glimpses of awesome snowy peaks. The elusive snow leopard stalks the mountains, along with red pandas, black bears and tigers. This treasured land provides a safe haven for many of the world’s most endangered wildlife, as well as some endemic species of bird. Trek among the majesty of these wilderness peaks to experience the essence of Bhutan. From fluttering prayer flags and brightly painted balconies to Bhutan’s traditional dress, vivid colours are all around. 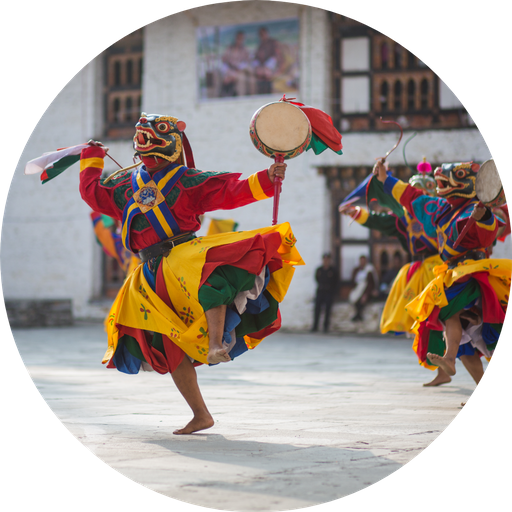 When it comes to celebrations, Bhutan knows how to throw a party with spectacular dance festivals punctuating the calendar. During these celebrations, performers dress in colourful costumes and masks. If you want to take a bit of the festival spirit home with you, look no further than the local markets where sumptuous fabrics and handicrafts are waiting to be browsed. 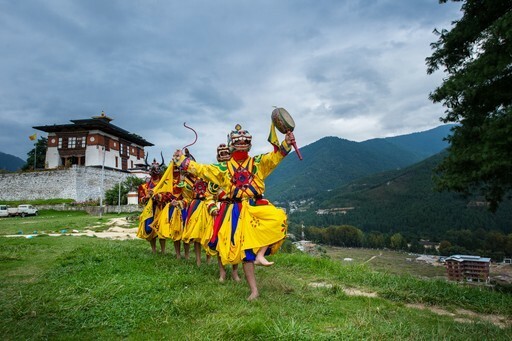 March to May and September to November are considered the best times to visit Bhutan, and many of the most popular cultural festivals take place during these months. Spring visitors will be able to experience the swathes of wild rhododendrons blooming along mountain trails, whereas autumn tends to yield the clearest views of the Himalaya. Summer brings more heat but also more rain, and cloudier skies obscure the dramatic scenery. Whenever you visit, your itinerary is likely to be varied and include some time at higher altitudes, so pack for every eventuality. 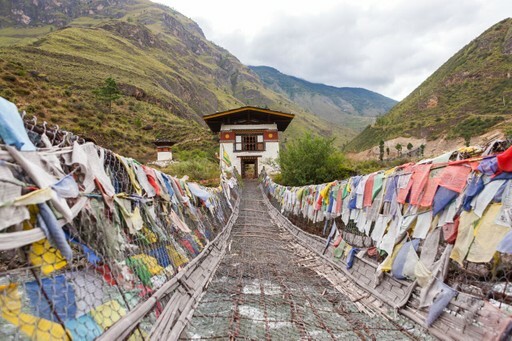 Create your bespoke holiday to Bhutan!